A dental filling is a treatment that restores and protects teeth that have been damaged by caries or tooth decay. Caries or tooth decay is a common health problem and is caused by a lack of dental hygiene. Sugary foods and beverages that remain on the tooth weaken the enamel, which can eventually cause tooth decay. Remember to consistently floss and brush your teeth to keep them healthy, clean and to avoid tooth decay. Ensure that you have regular check-ups with your dentist for preventative dental care measures to find and treat problems early. When a filling is needed, your dentist will remove the decayed tooth material, clean the tooth and then fill it with a material of your choosing. The most commonly used materials for fillings are composite resin and silver amalgam. In Australia, the price of a dental filling can cost between $125 and $300. Everyone patient is suitable for dental fillings and there are a variety of materials to suit each individual. The most common materials used are amalgam and composite. 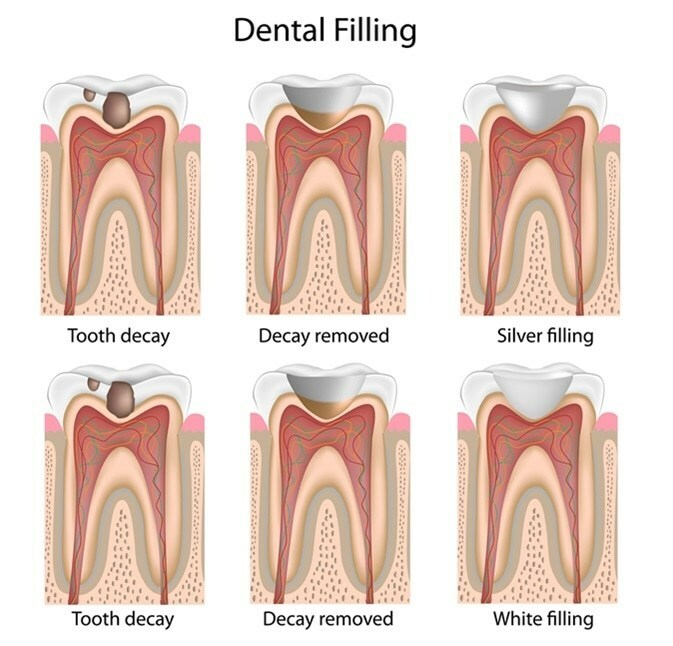 Amalgam fillings are traditional fillings, known as ‘silver fillings’ and are made with elemental mercury and a mixture of other metals including tin, copper, silver and zinc. They are strong, durable and can last anywhere from 10-15 years. However, the silver colouring can darken with time, causing the filling to be noticeable when opening the mouth. Some may have concerns about the elemental mercury contained in the filling having negative effects on the body. But the low levels of mercury in amalgam fillings do not have an effect on health. 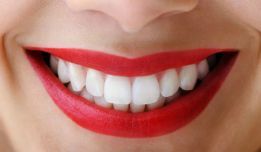 Composite fillings are made with a mixture of powdered glass and acrylic resin that can be matched to the colour of the tooth. This gives the tooth an aesthetically pleasing, natural and unnoticeable look compared to the silver amalgam filling. However, as the material of composite fillings are not as strong as metal, they are less durable and can last up to five years. They are also more prone to chipping, which can increase costs if repairs are needed more often. Your dentist will give you a consultation explaining the process in detail before the filling procedure. Each procedure can be different depending on the location and damage of the tooth. This will also give you an opportunity to ask any questions about the procedure to ensure that you are comfortable and relaxed. However, it is always useful to know what to expect before visiting your dentist. The first step is to inspect the teeth and locate the problem areas that need a filling. The dentist is usually able to do this with a dental probe to measure and detect the health of the tooth and a caries detecting liquid dye. Occasionally an x-ray will be to detect detailed information about the state of the tooth decay. In preparation for the filling, the dentist may administer a local anesthetic to numb the surroundings of the tooth. This is to ensure that you are comfortable throughout the procedure. However, you might not need a local anesthetic depending on the size of the filling or personal preference. Next, a high-speed metal drill will be used to cut through the layers of enamel and remove the tooth decay. A slower drill will be used upon reaching the softer dentin, which is the second layer of the tooth. Sometimes, a laser may be used to remove the remaining tooth decay. Afterwards, the area will be sterilised to remove remaining bacteria and prepare the hole for the filling material. The area must be completely dry so a suction tool will be used throughout the procedure. Firstly, an acid gel will be spread over the tooth for approximately 15 seconds and then washed off. This is called etching and will prepare the tooth’s surface for the bonding material to hold. Then, the bonding material is placed, which creates another layer under the filling. Lastly, the composite resin will be shaped onto the tooth and a blue light used to ‘cure’ or harden the filling. Firstly, the dentist will shape a hole that fits the filling. If the cavity is extremely large or deep, the tooth may be lined to prevent sensitivity and leakage. The hole will be filled with amalgam and the dentist will shape the amalgam to fit the tooth before it hardens. 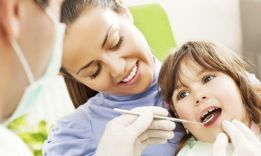 The dentist will polish the filling to smoothen any edges and check the bite of the filling and adjust as necessary. The local anesthetic will cause feelings of numbness for a few hours afterwards. This is the most common reason why people need dental fillings. Most people will experience tooth decay sometime in their lives due to poor oral hygiene. Tooth decay is caused by food reside, especially sugar that remains on the tooth. Without proper flossing and brushing, the sugar remaining on the tooth will cause cavities. The cavity will slowly grow and eventually get into the second layer or dentine of the tooth. If your tooth is cracked, fractured or chipped, you may need a filling to restore the functionality and appearance. Tooth damage can happen during physical exercise, so always wear a mouthguard at all times when playing extreme sports. Habits such as grinding or clenching your teeth can also weaken and damage the enamel over time. Dental fillings are not permanent and depending on the material of your filling, you may have to replace it more often. As soon as you notice a hole beginning to form, see your dentist to solve the problem earlier and prevent further damage and pain. Ensure that you have regular dental check-ups with your dentist to locate existing problems and for preventative care. Both composite and amalgam fillings can have the following risks and possible complications. After the local anesthetic wears off, some patients may feel some pain when pressure is applied to the teeth or when eating food. This should resolve in a few days. If the filling is making your bite uncomfortable, return to the dentist and they will reshape your filling. If there is a deeper ‘toothache’ type of pain, return to the dentist as the decay could have been deeper and further treatments may be needed. Some patients experience sensitivity to hot and cold foods, drinks and air temperature. The pressure of biting may also feel sensitive. This should resolve after a few weeks, but contact your dentist if this continues. Infections after a filling are rare. If there is swelling, pus or a severe toothache, visit the dentist immediately. The constant pressure from biting or chewing can cause fillings to deteriorate. If a hole or space forms between the filling and your tooth, there will be a risk of bacteria and tooth decay. Visit your dentist to repair your filling if this happens. Allergic reactions to silver amalgam are rare. Symptoms of an amalgam allergy are similar to skin allergy symptoms which include itchiness and skin rashes. Patients with amalgam allergies are likely to have a family history of metal allergies. If you experience these symptoms, you may need to take an allergy test and have the filling material changed. The local anaesthetic will wear off after a few hours. This may cause a lingering numbness or pin and needle sensation in the mouth. It is safe to take paracetamol to alleviate any discomfort or pain. Composite fillings are set immediately so it is fine to bite or eat food on the filling side. Amalgam fillings take longer to set, so refrain from biting or eating food for at least 24 hours on the filling side. Remember to be gentle with your filling, and avoid especially hard, sticky or chewy foods. Brush your teeth and floss twice a day to keep your teeth clean, and to avoid future dental caries. If you notice any of the above risks and complications are persisting, and continue to feel any discomfort after a few days, contact your dentist immediately for a check-up. Gold cast fillings are similar to silver amalgam fillings but are made with gold material. The gold colour is sometimes chosen as a more aesthetic alternative to silver. The costs of gold cast fillings are expensive and can cost up to 10 times more than silver amalgam fillings. However, they are extremely durable and can last over 10-15 years. Ceramic fillings look like composite fillings as they match the colour of the tooth. However, they are made of a porcelain material. Ceramic fillings more resistant to staining and do not risk developing cracks like amalgam fillings. These fillings can last up to 15 years but are more expensive, costing a similar amount to a gold cast filling. Glass ionomer fillings are made from acrylic and glass material, which form a chemical link with the tooth. The material is weaker than composite resin and amalgam and is more prone to fracture and breakage. Glass ionomer is used for temporary filling material, most commonly used in young children. 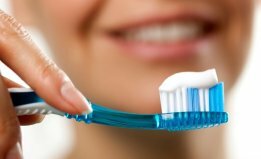 The material also releases fluoride, which prevents further tooth decay. The costs are similar to composite fillings and can last up to five years. How long will the dental filling process take? A dental filling is a short procedure that is done in one sitting. The filling process time is dependent on the amount of tooth decay, the difficulty of the areas that need to be filled, the filling material and the speed of your dentist. The entire process including the preparation will usually take around 20 minutes to an hour to complete. 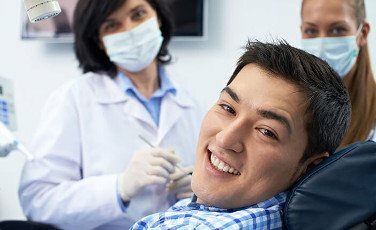 Will the dental filling process hurt? A local anaesthetic will usually be used to numb the areas around the tooth and prevent any pain during the process. A thin needle will be used to inject the anaesthetic directly onto the gum near the tooth. A small prick may be felt. Sometimes, dentists may also apply a topical anaesthetic directly on the gum to numb the area before the local anaesthetic injection. If you decide to not use any anaesthetics, the pain will depend on the sensitivity of your teeth and how deep the tooth decay is. Are my dental fillings likely to break? Dental fillings are not permanent and will wear out with time. Composite fillings last up to five years and amalgam fillings between 10-15 years. However, they may last longer or shorter depending on the amount of care taken. Occasionally, fillings can fall out or break due to a physical accident or damaged by biting hard food. If this happens, call your dentist immediately for a repair. It is recommended that you visit your dentist regularly to check your fillings for preventative care. Yes, children of all ages can get fillings. Glass ionomer fillings are commonly used on baby teeth, as they are temporary. However, if the baby tooth is likely to fall out within a few months, the dentist may decide that a filling is not needed. How will I know when my filling needs a replacement? If you notice that your fillings are wearing out and it has been around five years for your composite filling or 10-15 years for your amalgam fillings, make an appointment with your dentist for a check up and possible replacement. Are silver amalgam fillings safe? Yes, research shows that there are no risks to silver amalgam fillings. The small amount of mercury contained in a filling is not dangerous. When the mercury is mixed with other metals to form the silver amalgam material, a non-toxic compound will form. If you have a mercury allergy or have a family history of metal allergies, let the dentist know and an alternative filling material will be used. Will my dental filling be covered by insurance? This will be dependant on your insurance coverage. Medicare does not cover dental services. 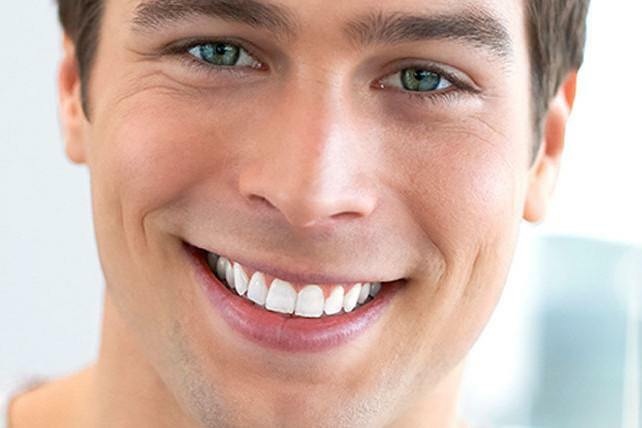 We are an experienced group of dentists located in the heart of Melbourne. We care about our patients and are committed to preventative care. Please call us today to make an appointment for a check up. If you think you may have any dental problems, call us immediately to treat the problems earlier. If you have any further questions about dental fillings or dental health in general, feel free to contact us and we will be happy to assist.